The hexanucleotide repeats in the C9ORF72 gene that cause amyotrophic lateral sclerosis and frontotemporal dementia undergo transcription and translation in both the sense and antisense directions. The backward RNAs and peptides outnumber the sense varieties in the motor neurons of people who died of ALS, according to a paper in the May 6 Acta Neuropathologica online. More telling, the antisense RNA was more often accompanied by mislocalized TDP-43, a hallmark of ALS and some FTDs. “This suggests the antisense [RNA] foci hold prime sway in the pathogenesis of these motor neurons,” said study first author Johnathan Cooper-Knock of the University of Sheffield, U.K.
GGGGCC repeats in the C9ORF72 gene, sometimes numbering in the thousands, are the most common genetic cause of ALS and FTD (see Sep 2011 news). Both sense and antisense transcripts containing these stuttering repeats assemble into abnormal aggregates. While it’s yet unclear if these RNA foci are toxic, they serve as a marker for cells with abundant repeat RNA. Moreover, ribosomes translate those RNAs into five distinctive dipeptides, which are also potential, but unconfirmed, toxic species (see Nov 2013 news). Previously, Cooper-Knock and senior author Pam Shaw had found sense-direction RNA foci in tissue from C9ORF72 expansion carriers that had been stored in the University of Sheffield’s brain bank. The samples contained another common ALS and FTD pathology, cytoplasmic aggregates of the normally nuclear TDP-43, but these did not correlate with the presence or absence of repeat sense RNA foci (Cooper-Knock et al., 2014). Now, Cooper-Knock and colleagues have turned their attention to antisense foci, and they observed a key difference from the sense version. In brain samples from eight people who died of C9ORF72-based ALS or FTD, the majority of motor neurons with antisense C9ORF72 RNA foci also were marked by mislocalized TDP-43. Why would antisense but not sense RNA affect TDP-43? Cooper-Knock first assumed that the RNAs might bind different proteins, which could influence TDP-43 dynamics, but in pull-down and crosslinking experiments both RNAs turned out to interact with similar partners. Next, Cooper-Knock theorized that perhaps the amount of RNA was critical for TDP-43 to accumulate in the cytoplasm. He counted RNA foci in five types of neurons in the brain samples: cerebellar Purkinje and granule, spinal cord motor, hippocampal dentate gyrus, and CA4 neurons. Examining hundreds of neurons, Cooper-Knock observed a consistent relationship between sense and antisense foci in each cell type. Purkinje and motor neurons always possessed more antisense than sense foci, while granule neurons consistently contained more sense foci. In the hippocampus, the two types were present in equal amounts. Because motor neurons seem inclined to transcribe antisense repeats, this may be why they are prone to mislocalize TDP-43, Cooper-Knock concluded. He found a similar pattern when he examined dipeptide inclusions in granule and motor neurons. The sense-direction peptides only occurred in granule neurons, while the antisense versions only appeared in motor neurons. Cooper-Knock did not correlate dipeptides with TDP-43 aggregation. Jiou Wang of Johns Hopkins University in Baltimore, who was not involved in the study, thought the findings quite plausible. 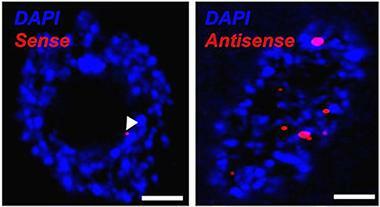 “The researchers examined many cells and the statistics seemed sound,” he told Alzforum. Why do motor neurons make more antisense foci than sense foci? “It is puzzling that the expression of the antisense transcript might exceed expression of the sense transcript, given that the sense transcript utilizes canonical transcription start sites,” commented Paul Taylor of St. Jude Children’s Research Hospital in Memphis, Tennessee, who was not involved in the study. Cooper-Knock believes that motor neurons probably express some transcription factors that favor the antisense direction. Alternatively, he added, different cells may degrade the two RNAs differently, with motor neurons allowing antisense RNAs to remain. Based on the correlations he observed, Cooper-Knock suggested that motor neurons overproduce antisense foci, which leads to excess antisense peptides, mislocalization of TDP-43, and neurodegeneration. He cannot prove this idea with only the snapshot of pathology from autopsy tissue. To understand the time course between these four steps, Cooper-Knock hopes to experiment with mouse models of C9ORF72 pathology—the first of which was just published (Chew et al., 2015). In the meantime, he had advice for researchers developing anti-C9ORF72 therapeutics. Scientists may need to target the antisense repeats, to achieve an effective treatment, he said. Cooper-Knock J, Higginbottom A, Stopford MJ, Highley JR, Ince PG, Wharton SB, Pickering-Brown S, Kirby J, Hautbergue GM, Shaw PJ. 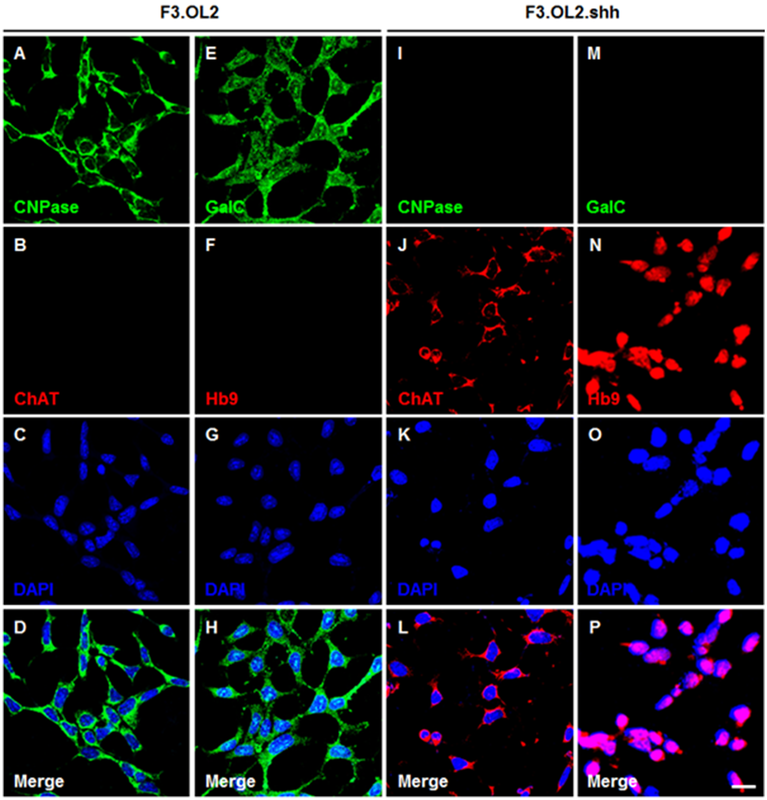 Antisense RNA foci in the motor neurons of C9ORF72-ALS patients are associated with TDP-43 proteinopathy. Acta Neuropathol. 2015 May 6; PubMed.